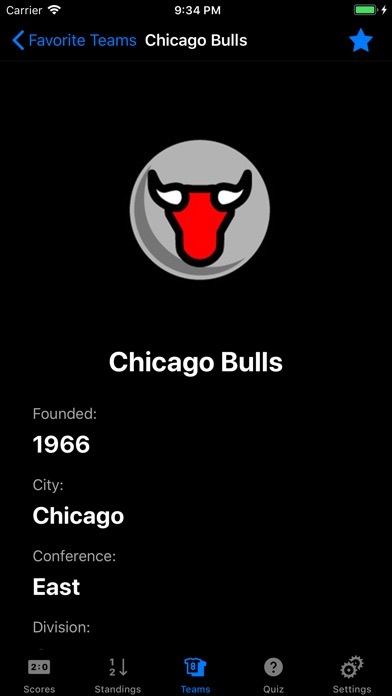 The Buckets app has officially launched! 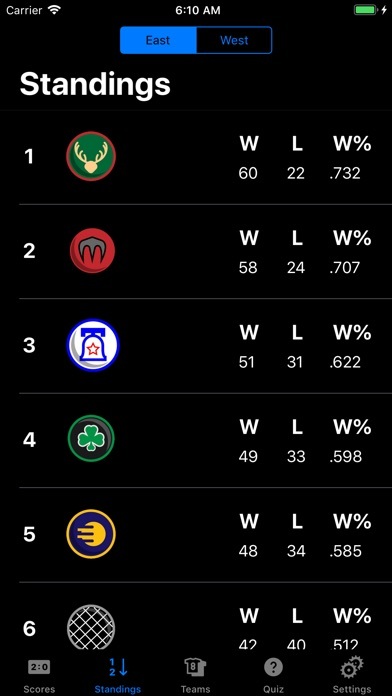 Get access to live scores, stats & standings from the Basketball Association! 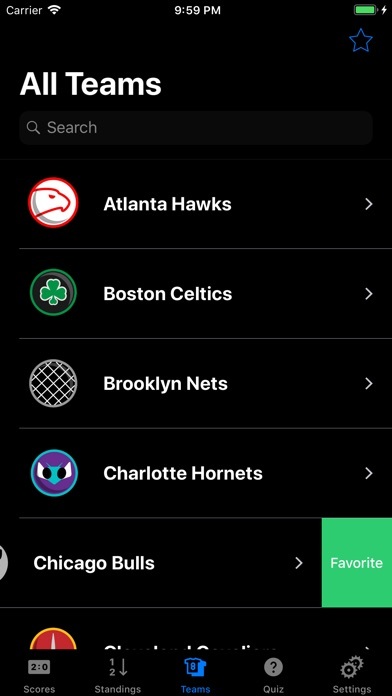 Features: - Live Scores - Tweet Scores - Gamecast - Conference Standings - Team Favorite(s) - Team & Player Stats - Updated Rosters - Quiz Game - Dark & Light Mode Disclaimer: This app is not endorsed by or affiliated with the National Basketball Association. 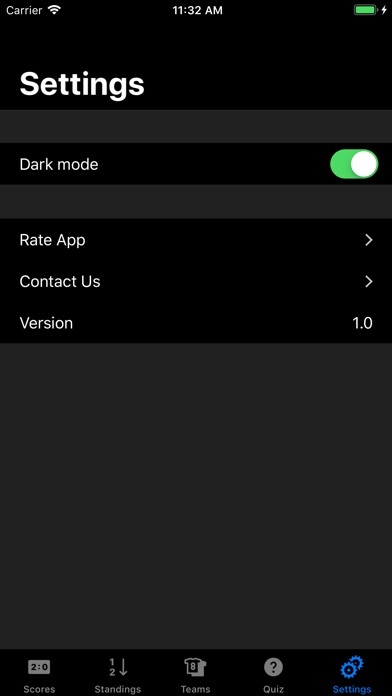 Any trademarks used in the app are done so under “fair use” with the sole purpose of identifying the respective entities, and remain the property of their respective owners. 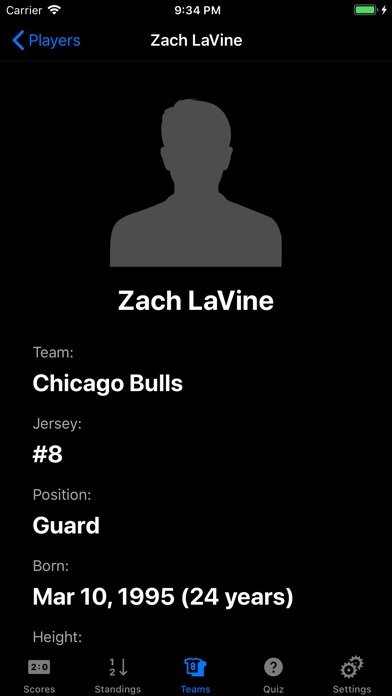 legit smoove the design is great and the UI is also simple and easy to follow. 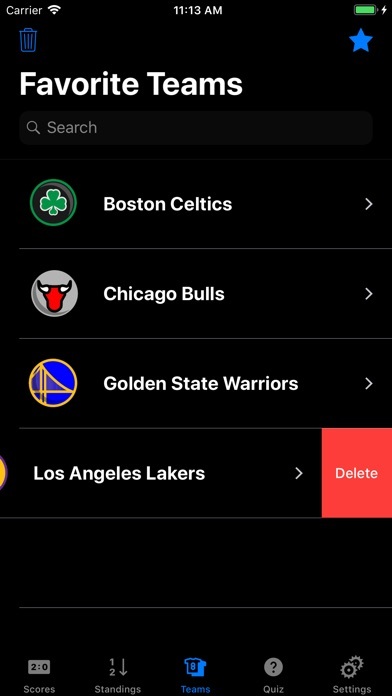 It helped me keep up with my favorite team. 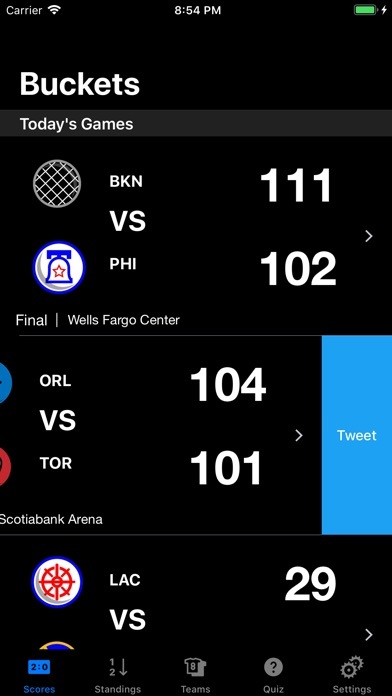 Love that this app gives you scores without you having to wade through news and videos. Live scores and stats are on point. 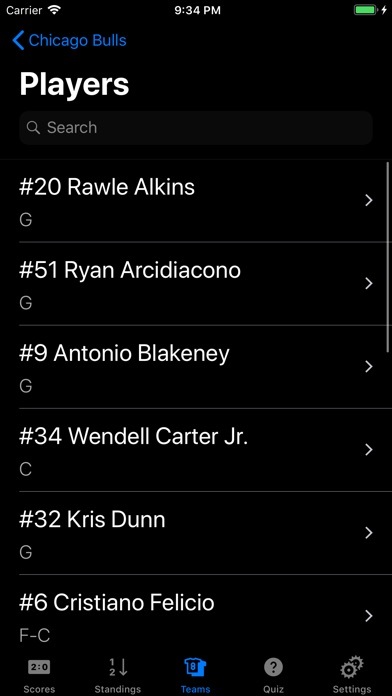 This will be replacing ESPN on my phone for professional basketball!! 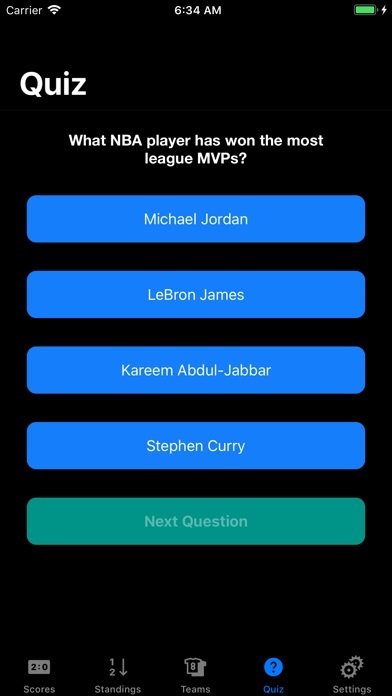 My favorite features are the NBA Quiz, Night Mode and specific player information. User experience was definitely taken into account when designing this app. Aggie Pride!